The chocolate lover's dream gift! A sumptuous collection of luxury chocolate truffles and pralines. The mouth watering selection includes; milk chocolate almond crunch, white chocolate flake and dark chocolate cerise au Kirsch. (This selection contains 53 assorted chocolates in a single layer and some chocolates contain alcohol). 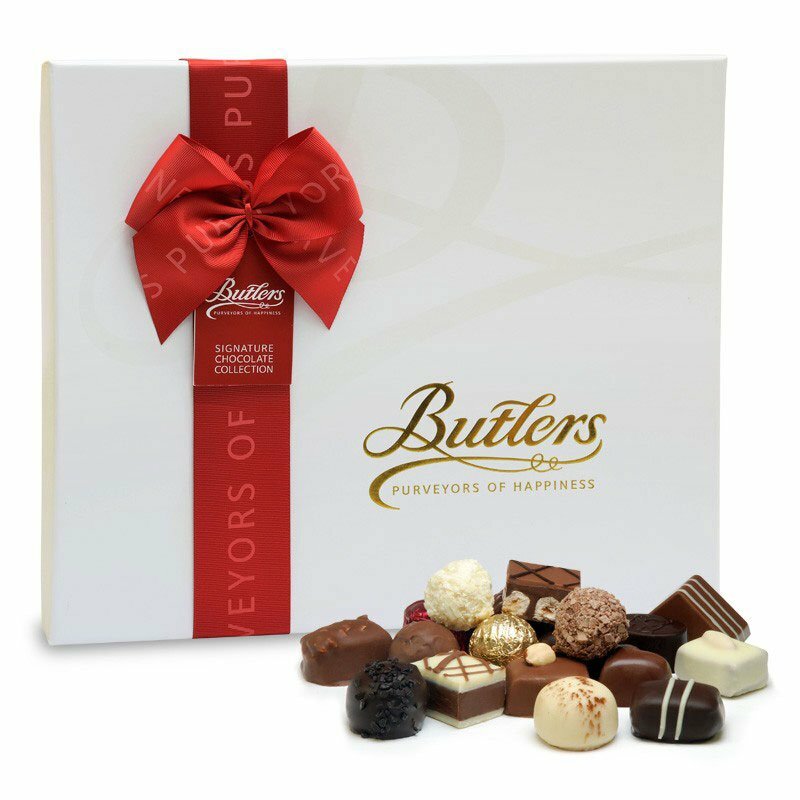 Butlers Chocolates began life in Dublin’s Lad Lane in 1932. The company was founded by a pioneering lady called Marion Butler who named her luxury chocolate creations Chez Nous Chocolates. Marion established the company in the heart of fashionable Georgian Dublin, making her delicious confections by hand. Marion, who was born in India and moved to Ireland as a young woman continued to make her delicious chocolates until 1959, when the company was bought by Seamus Sorensen from Cork. The company is still owned and run by the Sorensen family. 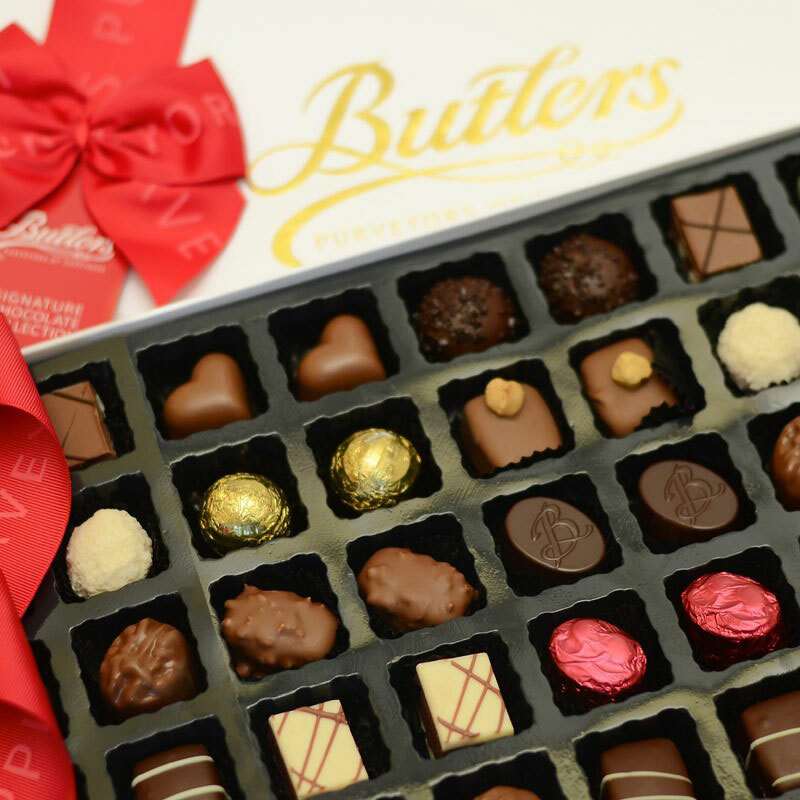 Butlers Chocolates is Ireland’s favourite luxury chocolatier and in 2012 celebrates 80 years of purveying chocolate happiness. 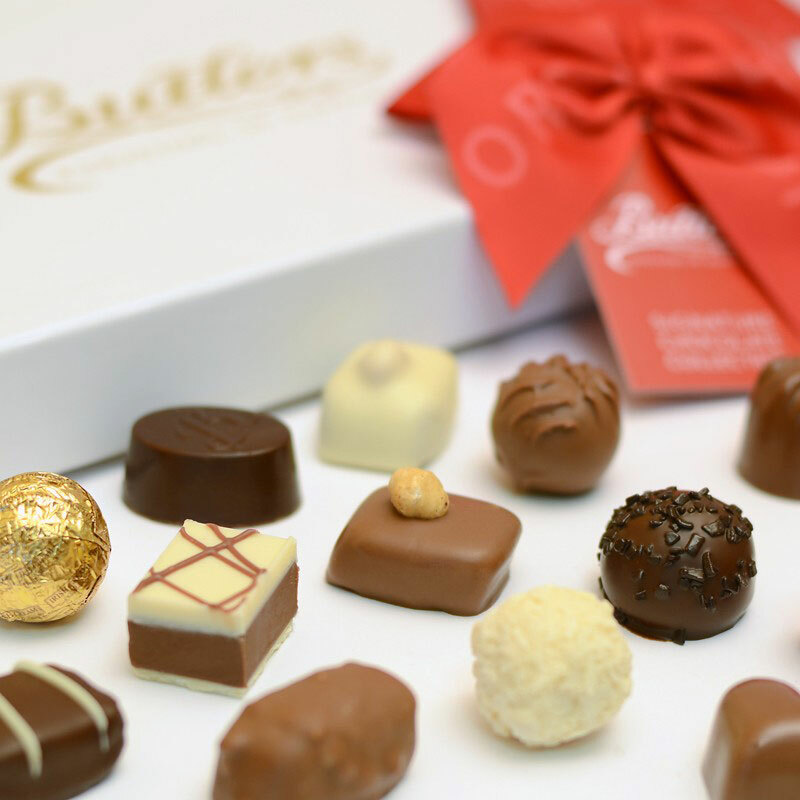 Butlers Chocolates employ 250 staff across production, packing, dispatch, accounts, sales and marketing, new product development and Butlers Chocolate Cafés. The company is 100% Irish owned by the Sorensen family who have owned it since the late 1950’s. Butlers is a company that has very loyal staff, many of whom who have stayed with the company for many years, over twenty for a good few, and have seen their careers develop along with the growth of the company.